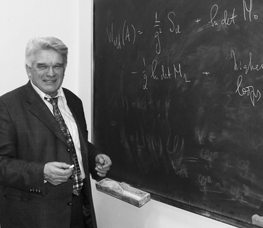 Professor Ludwig Faddeev is widely known for his con- tributions to mathematics and theoretical physics, which have reshaped modern mathematical physics. His work on quantum field theory (QFT) has prepared the ground for the gauge field theory revolution of the 1970s. His contributions to the many body problem in quantum mechanics and to the inverse scattering problem are among the deepest achievements in this area. His pio- neering work on the quantum inverse scattering method (QISM) started a wide new field of research, ranging from solvable models in quantum field theory to quantum groups. Professor Faddeev was born in 1934 in Leningrad (now St. Peters- burg) into a family of prominent Russian mathematicians. His father, Professor D.K. Faddeev, was one of the best Russian algebraists, particularly remembered for his contributions to homological alge- bra, Galois theory and representa- tion theory. His university teaching has shaped several generations of Russian algebraists. His mother, Professor V.N. Faddeeva, was among the pioneers of computational methods and for many years headed the laboratory of computational methods of the Steklov Institute in Leningrad. Himself a physicist by education, Professor Faddeev has been associated with the Steklov Mathematical Institute for more than forty years. 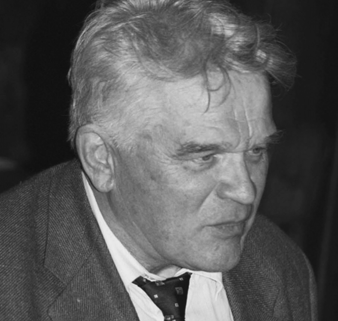 From 1976 to 2000 he served as director of the Leningrad (later St. Petersburg) branch of the Institute and headed the Laboratory of Mathematical Problems in Physics in which he united a score of his pupils and colleagues. Although it is now dispersed over several countries and continents, the Faddeev school is still highly united and plays a prominent role in modern mathematical physics. His work in mathematics and physics has won him wide international recognition. He was awarded the Heyneman Prize of the American Physical Society (1975), the Prize of the Union of Insurance Societies (Paris, 1988), the Karpinski Prize (1995), the Dirac Medal (1995), the Max Planck Medal (1996), the Euler Medal (2002) and the Henri Poincaré prize (2006). He was also awarded the USSR State Prize (1971), the Order of the Red Banner of Labour (1981), the Order of Lenin (1987), the Order of Friendship of Peoples (1994), the Russian State Prize in Science and Technology (1995), the Order of Merit of the 4th and 3rd degree (1999, 2005) and the Russian State Prize (2005). He has been elected an hon- orary member of the American Academy of Science and Art in Boston (1979), the Academy of Science and Lit- erature of Finland (1988), the Royal Academy of Sweden (1989), the National Academy of the USA (1990) and the French Academy of Sciences (2000). Since 1976, he has been a full member of the Soviet (now Russian) Acade- my of Sciences. From 1986 to 1990 he served as President of the International Mathematical Union. The interview with Ludwig Faddeev mentions the many prizes he has been awarded over the years. Here we say a little about one of them: the Henri Poincaré prize, which is sponsored by the Daniel Iagolnitzer Foundati- on. There is no need to introduce the man whom it was named after to readers of this newsletter. The prize was founded ten years ago, following a proposal by the Iagolnitzer Foundation, with the aim of recognising outstanding contributions in mathematical physics and contributions that lay the groundwork for novel developments in the field. It also serves to recog- nise and support young people who exhibit exceptional promise. The prize is awarded every three years at the International Mathematical Physics Congress and in each case is awarded to three individuals. The laurea- tes prior to 2006 were Rudolf Haag, Maxim Kontsevich and Arthur Wightman in 1997, Joel Lebowitz, Walter Thirring and Horng-Tzer Yau in 2000, and Huzihiro Ara- ki, Elliott H. Lieb and Oded Schramm in 2003. 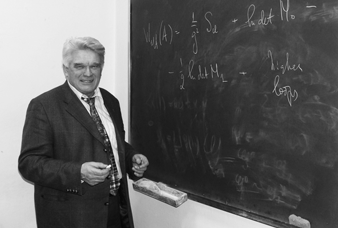 The 2006 prize was awarded to Ludvig D. Faddeev, citing his many deep and important contributions to the theory of quantum fields, the quantization of non- commutative gauge theories, scattering in quantum mechanics and quantum field theory, and the theory of integrable systems. The other two recipients at last year’s IAMP congress at Rio de Janeiro were David Ruelle and Edward Witten. Laudatia to the laureates and more information about the prize can be found at. Both your father and mother were prominent mathe- maticians but you have chosen the Physics Department of the University. Well, it was only natural since my father was at the time the Dean of the Mathematics Department and I wanted to make my own way. I believe that in general a reason- able share of stubbornness and nonconformism proved to be of much importance in my formation as a scholar. As a schoolboy, I did not have any particular interest in mathematics. I was a passionate reader. For instance, I learned much of English medieval history from Shakespeare’s chronicles. Of course, the general intellectual atmosphere of my family had a great influence upon me. One precious thing that I owe to it is my love for music. But I cannot say that it gave me a particularly professional orientation. 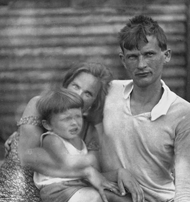 I remember at one point, after we had evacuated to Kazan, my father was greatly excited with his latest results. This was the time when he made important discoveries in homological algebra. I asked him how many people in the world would be able to understand his results and he replied that there might be five or six of them. I thought that this would not suit me. You entered the University in the early 50’s. This was still a rather difficult time in our country, was not it? Yes, I should say that I had a narrow escape in 1952 when the university officials heard that I was very fond of Hamsun’s novels. I was invited to the local Comsomol (Communist Youth) Committee and the secretary said to me in a grave voice, “Look, they say you are reading the writings of a certain Knuth?” Fortunately for me, Stalin died a few months later and this story did not have any sequel. But my overall impression in university was that of tremendous freedom, which contrasted to secondary school. I remember that one of the things that struck me in my first year at university was the elementary course in analytic geometry, with simple routine calculations re- placing the rather refined reasoning of school geometry. I should say that ever since, I have preferred simple calculations to tricky arguments! Your main teacher at university was Professor Ladyzhenskaya? She was in charge of our education at the Chair of Mathematical Physics. This was, in fact, the first time ever that this Chair had enrolled students on its own account. Before that the Chair of Mathematics at the Physics Department, created by academician Smirnov in the 1930’s, was mainly considered an auxiliary one. His idea, supported by academician Fock, was to dispense a special mathematical education for physicists, with emphasis on the mathematical background of quantum theory. Now, for the first time, it was given independent status and was allowed to have its own students, give special courses and supervise diploma work. Thus I was really in the very first group of students who in the following year, 1956, defended their university thesis in mathematical physics. O. A. Ladyzhenskaya was reading us a large variety of courses, starting with a basic complex variables course, which was followed by partial differential equations and operator theory and by special seminars. And what about academician Fock? Did he lecture at the physics department at the time? Going back to your university years, I remember you saying you had a very early interest in quantum field theory? My first textbook in QFT was K. Friedrichs’ book,“Mathematical aspects of the quantum theory of fields”, which we started to study on the advice of Ladyzhenskaya in 1954/55. I was the main speaker in the seminar, which started invariably with O. A.’s question,“First of all, Ludwig, please do remind us of the definition of annihilation operators.” This book has shaped my interest in mathematical problems of QFT and also encouraged a kind of aversion to the computation of Feynman diagrams that was so very popular among my fellows from the Chair of Theoretical Physics. Making an independent advance in QFT was of course too difficult a bid at that stage and my first research work was on a much easier subject: the potential scattering and spectral decomposition for the Schrödinger operators with continuous spectrum. As I was working on the subject, with the aim of combining the ideas of Friedrichs with concrete methods borrowed from the book of Levitan on singular Sturm–Liouville operators, an important paper of Povzner on the continuous spectrum expansions was published and it remained for me only to refine and to generalize his work. In the course of this I wrote my first university thesis. Another subject that you were deeply involved in start- ing in the 1950’s was quantum inverse scattering. A comprehensive study of the quantum inverse problem was part of my official curriculum as a research student. Professor Ladyzhenskaya remained my scientific supervisor. When it became known that I had prepared an exhaustive exposition of the inverse scattering problem for the radial Schrödinger operator, I was invited by N. N. Bogolybov to give a plenary talk on the subject at the inaugural meeting of the Laboratory of Theoretical Physics in Dubna, in the presence of Gelfand, Levitan, Krein, Marchenko, and other senior figures. This was a rather exceptional honour for me at the time. A written version of this talk was published the next year in Uspekhi. Simultaneously, I wrote a research paper that gave a complete solution of the inverse problem for the Schrödinger operator on the line. Much later this paper became important once again as it contained all the background of the future inverse scattering method in the theory of integrable systems. Your main technical achievement at this time is related to multi-particle scattering. I believed that it was important to resolve a really difficult technical problem before launching myself into the insecure waters of QFT. One such problem was the three- dimensional inverse scattering problem (without any a priory assumption of the symmetry of the potential). This problem proved to be very difficult and I only managed to solve it a few years later. And of course the quantum three-body problem was a real challenge too. The experience gained in the work on the socalled Friedrichs model was of great importance for me in this venture. Some key ideas also came from the study of a QFT model that was widely discussed at the time, the so-called Thirring model. Later on, your work on the quantum three-body problem triggered tremendous activity. I.M. Gelfand was in the jury for your second thesis. You were also rather closely associated with his famous seminar at Moscow University. As far as I remember, I gave my first talk at Gelfand’s seminar in the spring of 1958. I had been well warned about the dangers awaiting me. Gelfand would often stop the speaker and continue the report in his place or make rather acute remarks on the speaker’s mistakes. I was re- porting on the rather old paper of Friedrichs on perturbation theory of continuous spectrum and on the definition of the S-matrix, with my own additions, and since I was very well prepared professionally Gelfand was not able to shake me. Only V. B. Lidsky came under fire because he had once said that Friedrichs’ work was not interesting. In Gelfand’s seminar I made acquaintance with F. A. Berezin and we became close scientific friends for a long time. Together with Berezin, as well as Victor Maslov, whom I met at the 1958 Odessa conference, and Bob (Robert) Minlos, we formed a small company of young experts in quantum mathematical physics. I believe our contacts were of much importance for the four of us. Coming back to your 1967 work on Yang–Mills theory… My starting point was not Yang–Mills theory! I did not know much on it at the time, as a matter of fact. Of course, the real thing I was concerned with was quantum gravity. At that time, many theorists were studying oversimplified models, like lj4 as part of the so called “axiomatic approach”, which was designed to overcome the difficul ties of the conventional theory. But it was always intuitively clear to me that a truly good theory, one that has the chance to “exist”, should have some geometric motivation and beauty. One important hint was provided by a 1963 paper of Feynman, who was also concerned with quantum gravity. Feynman noticed that the diagram expansion in general relativity is inconsistent and requires a correction to maintain unitarity. He also noticed that a similar phenomenon occurs in Yang–Mills theory, which he brought into play as a useful toy model, at the advice of M. Gell-Mann. Almost simultaneously, I bought a Russian translation of A. Lichnerowicz’s book, Théorie globale des connexions et des groupes d’holonomie. A similarity with formulae coming from physics was striking. Soon I realized that Yang-Mills theory was as good a theory geometrically as general relativity. The book of Lichnerowicz was my first textbook in modern differential geometry. This gave me motivation to study the Yang–Mills case on its own account. Its tremendous importance in the theory of weak and strong interactions was realized only a few years later. Doing Lagrangian QFT in this country in the 1960’s was not an easy deal. It was even worse than that! Ever since the discovery of the so-called “zero charge paradox” in quantum electro- dynamics in the 1950’s Landau came to the conclusion that quantum field theory is inconsistent and that the Hamiltonian method should be considered as completely dead and may now be buried (“with all the honours it deserves”). This was the verdict he made in his last published paper, “Fundamental Problems”, written shortly before the tragic car accident that put an end to his scientific career. Landau’s pupils considered this maxim as their teacher’s testament. 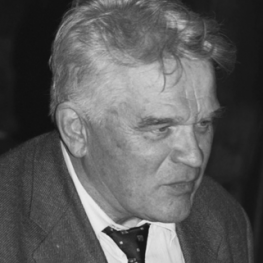 So when, together with my younger colleague, V. N. Popov, we prepared a paper on the quantization of Yang–Mills theory, its complete text could neither be published in any of the Soviet physics journals nor abroad (for such a publication, one needed a positive conclusion of the Nuclear Physics Division of the Academy of Sciences). Finally, the full text was published only as a preprint of the Kiev Institute of Theoretical Physics, with hand-written formulas and a very limited circulation. We were able to publish only a short announcement in “Physics Letters”. The complete version was translated into English by Fermilab only in 1973 when it finally received a wide circulation. Victor Nikolaevich was one of the very rare experts in functional integration methods at the time. Yes, it really was a rarity in those days. Curiously enough, R. Feynman, who was at the origin of the functional in- tegration method back in the 1940s, has never ever used it in problems of QFT, although it is certainly the most straightforward way to deduce the Feynman diagrams expansion. In Yang–Mills theory, it also allows you to resolve the problem of unitarity raised by Feynman in a very concise form. In a way, we managed to outplay Feynman in his own field. An exposition of your new method opened the very first issue of “Theoretical and Mathematical Physics” in 1969, which I remember to be the favorite reading of young theorists (including myself) at that time. 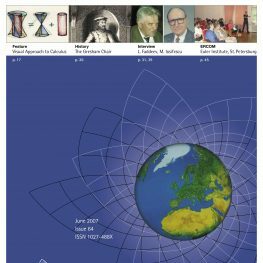 The creation of the journal was of course very much in the spirit of the time; the necessity to establish much closer ties between fundamental physics and mathematics was really pressing. My 1969 article, which treated the quantization of Yang–Mills field via the Hamiltonian functional integral, emerged from my attempt to understand more deeply the geometric aspects of our results (derived at first by a kind of trick, the so called Faddeev–Popov trick). This brought me to the study of Dirac formalism for constrained Hamiltonian systems and of symplectic reduction (on the functional integral level). Working on this problem, I had a very fruitful interaction with V. Arnold. This gave me a big boost in my study of differential geometry. In my turn, I tried to explain to him (probably less successfully) the meaning of quantization. Simultaneously you were also continuing your work on the inverse scattering problem. The 1960s were exceptionally productive years. I still regard my work on three-dimensional inverse scattering as probably my best analytic result, although, for various reasons, it is much less known than many others. The key point was to tackle the problem of over-determinacy of the scattering data. The breakthrough came in 1966 when I managed to find a substitute for the “Volterra Green’s functions” of the one-dimensional Sturm–Liouville equations that could be applied in the multi-dimensional setting. It took several years until all the technical details were filled in. At first I published just a short note, as I was still fully in the Yang–Mills business, and the complete exposition had to wait until 1976. But before that there were many other exciting things to happen. Well, that’s true. At the very beginning of 1971 I went to Novosibirsk to attend an international conference on the inverse scattering problem, where I was going to report on my results on the three-dimensional inverse problem. It is there that I heard for the first time (from the talk of A. B. Shabat) about the exciting new development in the theory of non-linear PDEs. The one-dimensional inverse scattering problem has become a magic tool to solve the KdV and the non-linear Schrödinger equations. Formulae from my old PhD thesis on the inverse problem for a one- dimensional Schrödinger operator on the line were used in an entirely new context. This was sort of a bolt from the blue. During the conference we discussed the new method with V. Zakharov and soon came to its new interpretation in the spirit of the Liouville theorem in the theory of integrable Hamiltonian systems. Our joint paper, published in December 1971, started a new period in my scientific life. By that time you were already heading a research group at the Steklov Institute in Leningrad. Already in the 1960s I was lecturing at the Leningrad university (both in its Mathematics and Physics Depart- ments) and quite naturally my seminar at the Steklov Institute became a point of attraction for many brilliant young students. Gradually, this handful of youngsters became a true research group I am really proud of. I should say that the new research subject, the classical inverse scattering method, which was launched in the 1970’s, was perfectly adapted for a collective effort. In the university all my students had already received a very solid background in scattering theory, so now they were completely ready to join the race. I remember that when you introduced our research group to Peter Lax during his visit in 1976 you said you reserved for yourself the role of a playing coach. Well, you certainly agree with me that it was a really good time and a truly creative atmosphere, which prevailed in our weekly seminar and during the non-stop informal discussions that followed. The point of view on the classical inverse scattering method that you advocated at the time was probably different from that in other research groups we competed with. From the very beginning I was heading towards the possible applications in QFT. Of course, the KdV equation is a rather silly system to be quantized. But very quickly, together with my student Leon Takhtajan we came upon a truly exciting example: the Sine Gordon equation. Its solitons and breathers have a clear interpretation of new “relativistic particles”, which emerge as kind of “collective excitations” of the original field. What’s more, when the coupling constant in the original Lagrangian is small, the new particles appear to be strongly interacting, as the coupling constant passes to the denominator. When this mechanism was discovered I was of course excited and we wrote a special notice for Physics Letters. Curiously enough, this letter was lost somewhere on its way to the journal (I had passed it to R. Haag during my visit to Hamburg in 1972) so it has never been published. In the mid 70s we started a systematic work on the quantization problem for integrable models, mainly for the Sine–Gordon and for the non-linear Schrödinger equation. The first step was the study of the semiclassical expansion and of perturbation theory, which confirmed, despite the heavy opposition of the conservatives from the old Landau school, that both integrability and the nontrivial particle content of the model survive quantization. The contribution of I. Arefyeva and V. Korepin was particu- larly important at this stage. Already at that time you were convinced that the role of solitons in quantum physics goes beyond the two-di- mensional models. Solitons gave the first example where the old paradigm of QFT “one particle – one field” had been broken. Of course I felt it would be great to make a similar mechanism work in realistic space-time dimension. The idea to associate stable solutions of nonlinear equations with a new kind of particle was not at all generally acceptable at the time; some of the physicists were mocking me and speaking of the revival of ‘Einstein’s dream’ (which had a strongly pejorative meaning). In the mid-70s we frequently discussed the matter with young Moscow theorists, mainly with Polyakov, and I believe these discussions have con- tributed quite considerably to the discovery of the famous quasiparticle solution, the ‘t Hooft–Polyakov monopole and the instanton solution in Yang–Mills theory. The semiclassical treatment of quantum integrable models was then followed by an exact solution. This was a truly important development of the late 1970’s. The new method, which was baptized the quantum in- verse scattering method, brought together several ideas that were completely disjoint at the time, ranging from the old classical work of H. Bethe on lattice spin models and the more recent results of R. Baxter on quantum sta- tistical mechanics to the inverse scattering method with its emphasis on the role of “Lax operators”. The beauti- ful algebra behind the new method was soon crystallized in the notion of the quantum R-matrix and the quantum Yang–Baxter equation. From the very beginning, my young pupils played a key role in this development. I’d like to mention, in particular, the work of E. Sklyanin and L. Takhtajan. A couple of years later, Kulish and Reshetikhin constructed the first example of a “quantum group”, which proved to be one of the most important by- products of the new method (the term itself was coined a few years later by V. Drinfeld who was largely inspired by our work on QISM in his search for the new algebraic structures that underlie quantum integrability). For their part, Izergin and Korepin developed powerful technical tools to compute physically interesting quantities associated with integrable models like correlation functions, etc. Finally, Smirnov made a key contribution to the quantum inverse scattering problem proper, i.e. to the reconstruction of ‘local’ observables from spectral data. It’s at this time that our research group won overall international recognition. The very landscape of mathematical physics was profoundly changed by these developments. There were also various implications for the old classical inverse scattering method itself. I agree, and you know it perfectly well, as you were one of the actors. The notion of the classical r-matrix (the semi-classical counterpart of the quantum R-matrix that was first introduced by Sklyanin) has played here the key role. The miracle of the Hamiltonian structures that arise in the study of integrable systems has been fully explained: the r-matrix method linked them to the Riemann–Hilbert problems, which represent a technical equivalent of the Gelfand–Levitan equations in inverse scattering. Via this notion, the classical inverse scattering method was also linked to the famous orbits method in Lie group theory, making manifest the “hidden symmetry” aspect of integrable systems. Finally, the quadratic “Sklyanin Poisson brackets”, which naturally emerge in the theory, started a truly new chapter in Poisson geom- etry, which has developed very actively up to the present day. In the 1980’s I wrote, together with L. Takhtajan, a special book on the Hamiltonian methods in the theory of integrable systems, which focused on the notion of the classical r-matrix. We hoped this first book would be followed by another one treating the quantum inverse scattering method but the big changes of the 1990s that followed did not allow us to continue. The name of Drinfeld inevitably brings us to the notion of quantum groups, which you have already mentioned … Drinfeld took very seriously the discovery of the quantum inverse scattering method; he was a very frequent and most welcome guest of our laboratory in those days. A few years later he managed to give a very nice and appealing form to the ‘algebraic half’ of the QISM. In 1986, during the Mathematical Congress in Berkeley, I brought Drinfeld’s address with me and asked Cartier to present it to the congress. In those late years of the Soviet Union, Drinfeld still could not get permission to go the States himself. This address immediately triggered the ‘Quan tum Groups Revolution’ of the late 1980’s, with important implications for representation theory, knot theory, geometry of low dimensional manifolds, and more. In our research group, I’d like to single out the contribution of N. Reshetikhin to all these matters. For my part, I always preferred the original R-matrix approach to the high-brow algebraic language of Hopf algebras and tensor categories. So I was very pleased to find a simple R-matrix equivalent for the q-deformed universal enveloping algebras discovered by Drinfeld and Jimbo. This was our joint work with Reshetikhin and Takhtajan on the quantization of Lie groups and Lie algebras. I should mention that, contrary to the popular belief, the QISM is still considerably more rich than quantum group theory: its key part is certainly the algebraic Bethe Ansatz and its more refined modern versions, which still resist explanation in the context of quantum group theory (or at least any such explanation is much less elementary than our original method). Of course, much work has been done in connection to this over the past few years; the quantum separation of variables method developed by Sklyanin is probably the most important contribution I can mention. V.N. Popov and A. Izergin passed away at a very early age. This new situation has prompted me to return to the rather solitary working style of my younger years, which contrasts so much with the team work of the 1970’s and 1980’s. Of course, now the isolation is only relative, as it is moderated by the new Internet capabilities and also by the freedom to travel. I have also established some new collaborations, notably with Anti Niemi from Helsinki University. What were your main research topics during these years? Rather unexpectedly for me, I have returned to Yang– Mills theory. Contacts with Niemi have revived my interest in the modified Skyrme model that I proposed in the late 1970’s. Typical solitons that were studied at that time are associated with certain “topological charges” and may be described as localized solutions that resemble isolated particles. In my version of the Skyrme model (which is based on the Hopf invariant) excitations are more like strings or pipelines and are classified by various knots in R3. Unfortunately, it is practically hopeless to find ex- plicit solutions of this model in closed analytic form. In the 1970’s, when I started to study this model, there were no sufficiently good computers to deal with it numerical- ly. In the 1990’s Niemi, who mastered modern numerical methods, could already use the capacities of the super- computer of Helsinki University. His results confirmed my expectations for the simplest configurations (the un- knot); our joint publication in “Nature” attracted the attention of the true professionals in numerical methods, Sutcliff and Hietarinta, who have carried out still more refined computations.Their results convincingly show the existence of nontrivial knot-like excitations, in particular, associated with the trefoil. You remember, of course, that Escher’s etching of the trefoil knot has been hanging in our seminar room since the early 1970’s. Certainly, I do! And what was the next step? And what is your general opinion on the relation be- tween physics and mathematics? I am an expert in mathematical physics. This term has been given different meanings. Sometimes it is reduced merely to the set of traditional mathematical methods associated with the study of basic PDEs that arise in physical problems. On the other hand, mathematical physics was also considered as a synonym of theoretical physics (as may be seen from the name of the Lucassian Chair in Mathematics that was once occupied by Dirac and earlier by Newton). In my own opinion, both mathematical and theoretical physics are dealing with the same objects and the same ultimate reality, although they are based on different (and sometimes complementary) kinds of intuition. My own type of intuition is rather mathematical and I must confess that the simplified arguments based on the so-called “physical sense” are not too appealing to me. On the other hand, really deep physical ideas can sometimes provide a deep insight into purely mathematical problems. Over my lifetime, my science has undergone profound and unprecedented changes and I feel happy to participate in its development, which brings us ever closer to the understanding of the laws of nature. At several occasions I have already had an opportunity to express my personal views on mathematical physics and to outline the story of my own research engagement. So I shall probably end this interview with a couple of references. One can add to this list the short story of our seminar in Steklov Institute, which you wrote a few years ago. Thank you for this suggestion. I am very glad you liked this story and feel honoured to add this reference. Faddeev L.D. Modern mathematical physics: what it should be. Mathematical physics 2000, 1–8, Imp. Coll. Press, London, 2000. Faddeev L.D. What is modern mathematical physics? Proc. Steklov Inst. Math. 1999, no. 3 (226), 1–4. Faddeev, L.D. A mathematician’s view of the development of phys- ics. Les relations entre les mathématiques et la physique théorique, 73–79, Inst. Hautes Etudes Sci., Bures-sur-Yvette, 1998. Faddeev L.D. 40 years in mathematical physics. 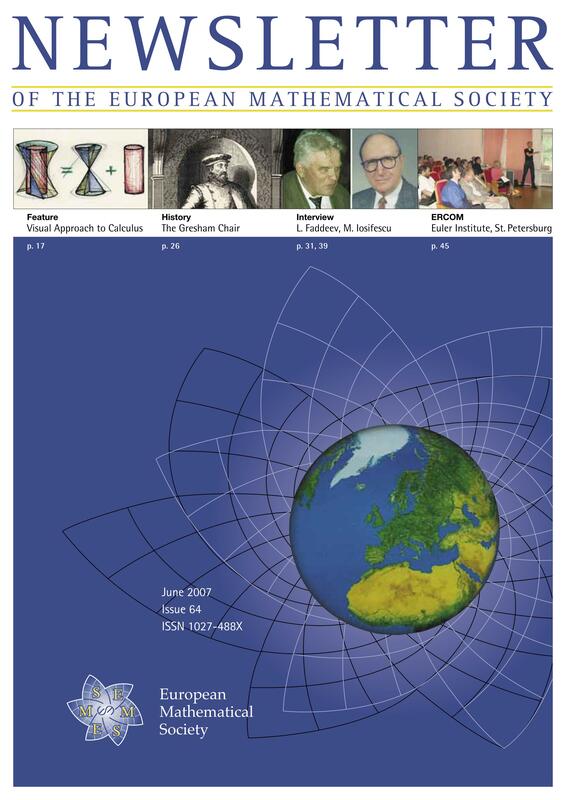 World Scientific Series in 20th Century Mathematics, 2. World Scientific Publishing Co., Inc., River Edge, NJ, 1995. x+471 pp. M. Semenov-Tian-Shansky. Some personal historic notes on our seminar. In: L.D. Faddeev’s Seminar on Mathematical Physics. Advances in Math. Sciences, vol. 49 (M. Semenov-Tian-Shansky, editor), American Mathematical Society Translations, ser. 2, v. 201, AMS, Providence, R.I., 2000, pp. 1–8. Michael Semenov-Tian-Shansky [semenov@u-bourgogne.fr] graduated from Leningrad (St. Petersburg) University in 1972 and received his PhD (1975) and Habilitation (1985) from the Steklov Mathematical Institute. After 1972 he worked at the Leningrad (St. Petersburg) Branch of the Steklov Mathematical Institute. In 1992 he was appointed Professor at the Université de Bourgogne, Dijon, France. His research interests include representation theory of semi simple Lie groups, integrable systems, quantum groups and Poisson geometry. His interests outside of mathematics include the history of science, music and hiking.